LAAFF’in in 2011– 10 Year Anniversary for this All Asheville Free Street Festival! The 10th annual LAAFF is right around the corner in Downtown Asheville on Labor Day Weekend Sept 3-4th on Lexington Ave.
Stephaniesid is doing their CD release at their show on Saturday Sept 3d at 7:30 on the main stage. 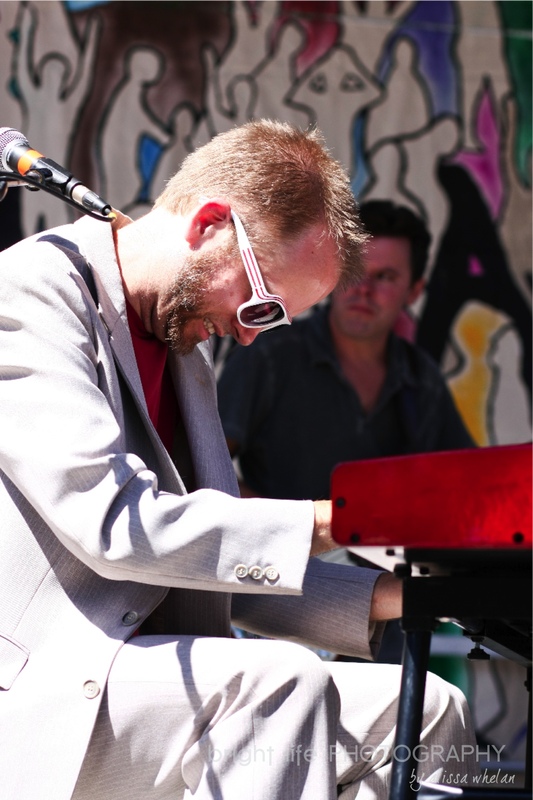 Also, be sure to check out 23 Skidoo & The Family Band (Sat 11am Main Stage), Santos (Sat. 1pm bobo stage) , Paper Tiger (Sat 3:15 Main Stage), Vertigo Jazz Project (Sat 4:15 Main Stage), The Secret B-Sides (Sun 6pm bobo stage), Lotion (Sun 2:30-3:10 Mountain Xpress Walnut Stage), GFE (Sun 8:15 MX WaLnut Stage), Ten Cent Poetry (Sun 11:45- 12:30 Main Stage), Jeff Santiago y Los Gatos Negros (Sun 1:45- 2:30 main stage), Zansa (Sun 6:30-7:15 Main Stage), Moses Atwood Band (Sun 4:45-5:30 main Stage) and lots of oither great stuff. The new Stephaniesid album, Starfruit — despite its name-association with things tropical and celestial — was conceived in a dark basement. “A universe leapt out of the grayness,” says front woman Stephanie Morgan. An advance listen of the album reveals lush pop, layered vocals, rich horn parts and a certain velvety darkness (perhaps it’s the snarl of baritone sax or echoes of reverb ). But even through an edge of bitterness (despite dance beats and bells, the track “Starf—ker” is not without teeth), the record is backlit by undeniable sparkle. 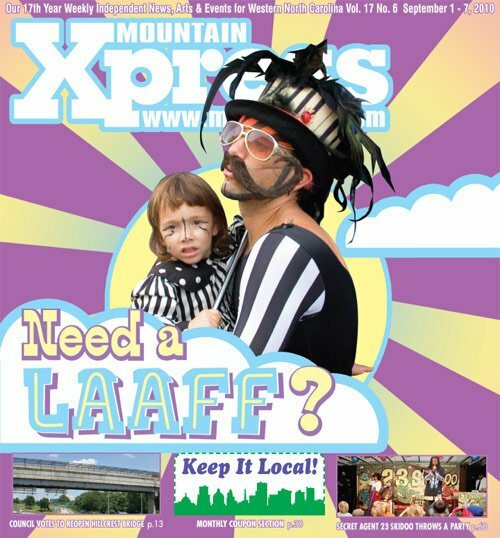 The Mountain Xpress in Asheville printed some wonderful coverage of this years Lexington Ave Arts and Fun Festival (LAAFF). I am going to post some exceprts from each with inks to the full articles and intermingle a few of my shots from the fest… Check it out. Yes, it was just as eclectic seven years ago as it will be this year, only this year there are almost twice as many acts and six stages. And, there’s another notable difference: This year’s LAAFF takes on an indie-rock flavor that it’s never had before. 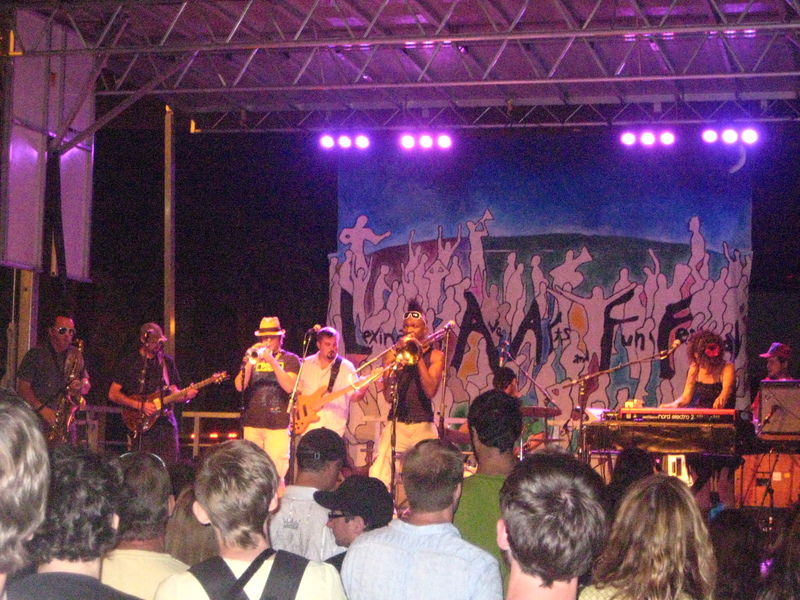 Here’s what that evolution looks like: Toubab Krewe headlined in 2005 (along with Strut, stephaniesid, the Great Slide, Cabo Verde, Fifth House, Mad Tea Party, the Buckerettes, Aaron Price and Christina Aurea). 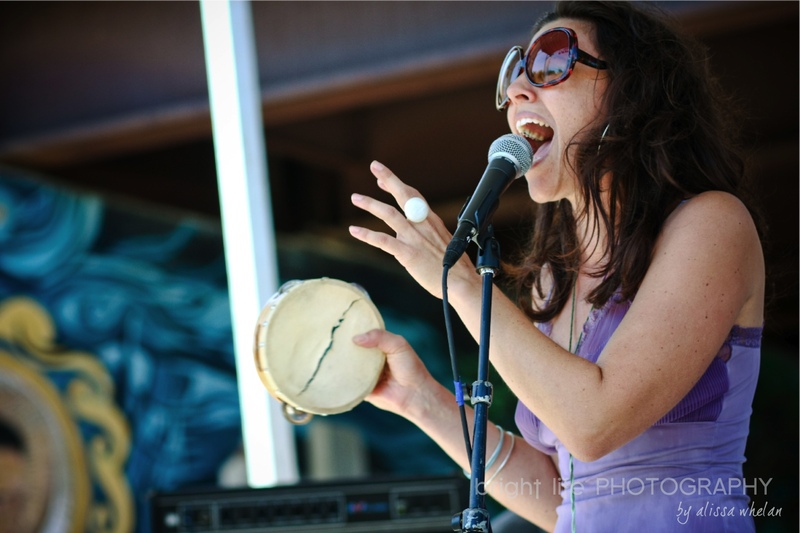 In 2006, Jeremy Long (then-percussionist with Avec La Force Percussion and Dance Initiative) told Xpress, “The planning committee decided LAAFF needed to be more diverse this year.” Enter Flamenco Saltado, Soora Gameela, Baraka Mundi, Banana da Terra, the Shining Rock Reggae Band and Nbale (Newborn Ancient Love Ensemble) with Biko Casini of Strut on West African balaphone — a group formed just for LAAFF. LAAFF circa 2007 hinted at indie rock — the Sophisticated Chimps fit that bill, along with Speedsquare and Nevada. But the balance was jam, experimental and world music. … … … … …Check out this portion of the inter view with Kovacs and the Polar Bear here. Take Nbale. That band formed for LAAFF four years ago after Scholze noticed a number of players (Nbale included Casini, Ryan Reardon, Simon Tisman & Sage Sansome) from various bands waiting out a rainstorm together in a College St. storefront and suggested they try playing together. Another mashup was Sons of a Keeled Over Snake with members of Sons of Ralph, Larry Keel & Natural Bridge and Snake Oil Medicine Show. Asheville Horns was also born of an opportune moment: A group of local brass players were tapped to record with Laura Reed and Deep Pocket. “Someone said ‘You should become a horn-rental section,’” recalls trombonist Derrick Johnson, whose main gig is with Yo Mama’s Big Fat Booty Band. They did, and putting a bunch of horn players together “gave us a chance to play different types of funk,” says Johnson. Soon, Asheville Horns wasn’t just a brass section for hire, but a band with its own shows. Johnson, a fan of collaborations, co-created the local Funk Jam (held every Tuesday at the Emerald Lounge) when friends from a Long Beach, Ca.-based funk band were visiting Asheville and looking for a place to jam. Musician/soundman/promoter Frank Bloom offered up Emerald Lounge, and what was meant to be a one-off evolved, over the last two years, into a full-on scene. That scene attracts not just local performers, but touring musicians from bands like Dirty Dozen Brass Band, Galactic and Phish. For new-to-town musicians, “It gave people a chance to get established in the scene,” says Johnson. “People started getting different phone calls for different gigs. It was a card-swapping music exchange.” … Networking for funk players. 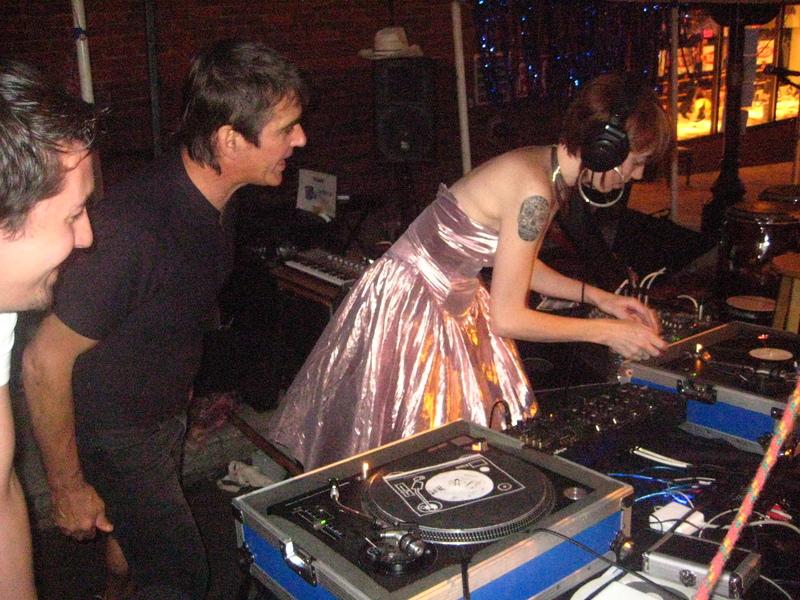 Those kinds of opportunities to meet and mix have changed the sonic topography of Asheville in recent years. When LAAFF started, “People didn’t know each other,” Scholze says. “As the years have gone on, they started doing the funk jam and that brought in people like Vertigo Jazz Band and Matt Williams. That [created] the soul-jazz thing and now they’re cultivating that.” Scenes have formed around common interests, and each scene (jazz, jam, funk, etc.) has its own following. “But I think the next step is for the [various] scenes to start connecting and opening up, maybe connecting the soul-jazz people to the orchestra-jazz people; maybe connecting some of the singer/songwriters to the funk jam,” says Scholze. So, will next year bring a more decisive move toward indie-rock? Or perhaps an indie/world fusion? Will The Archrivals battle Nataraj? Will Woody Pines bring a DJ on stage? Will Sky Lake add a balaphone to its lineup? Whatever the next LAAFF brings — or this one, for that matter — it’s sure to be a surprise. 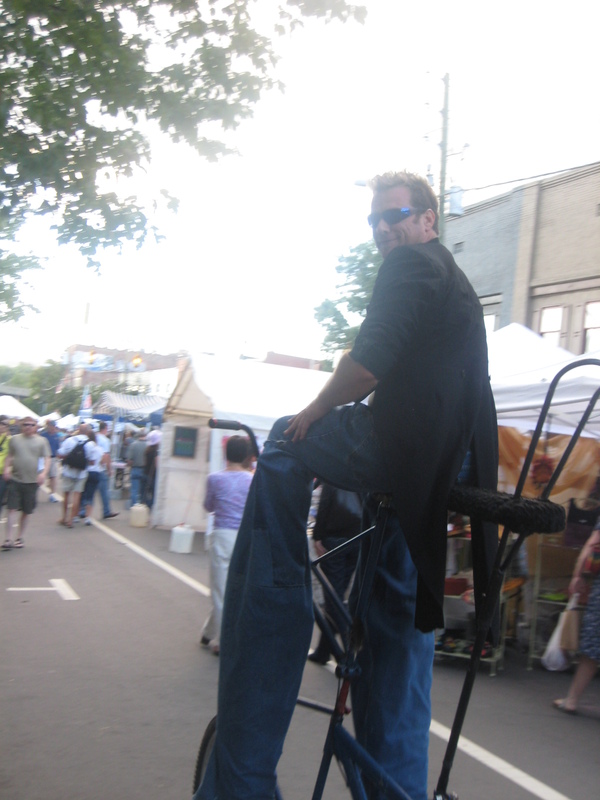 • Bike Jousting: Though Michael Mooney’s tall bike will not return to LAAFF this year, his bicycle jousting — a game that Mooney developed specifically for LAAFF — will. 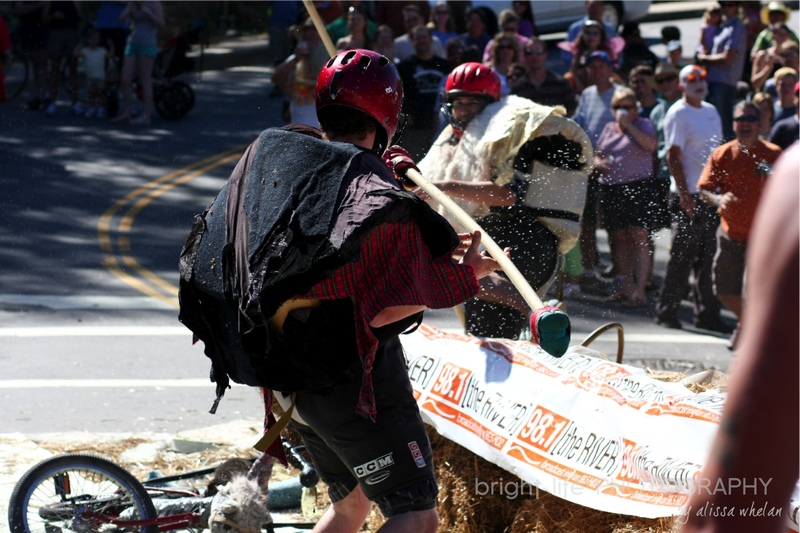 Contestants gear up in foam armor, sit astride a bike with a banana saddle and elliptical wheels, and try to dismount their opponent with a boxing glove at the end of a long pole. Fun for kids and adults. • Big Wheels for Big Kids: This new-to-LAAFF sport was also invented by Mooney and his friends. 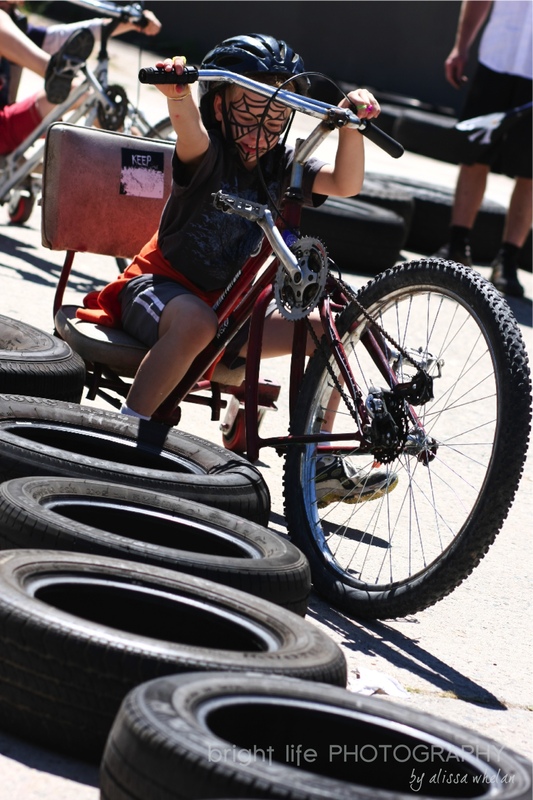 Adults board low-rider tricycle-like vehicles and race a track made of tires. 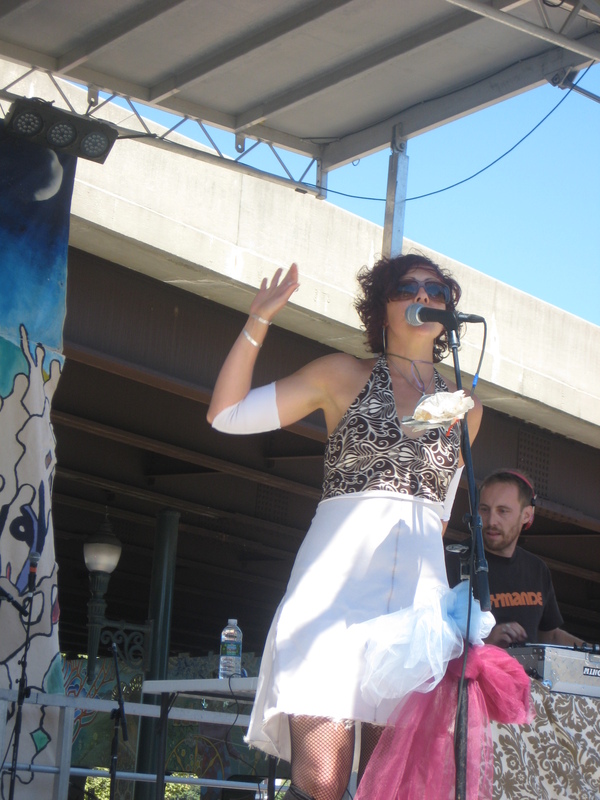 • Miss Kitty’s Interactive Arts Area: Made for adults and kids, the arts area features many performers from the ongoing Pritchard Park Cultural Arts Program. Asheville Hoops will be on hand, along with Stina Andersen’s Tunnel of LAAFFs, which gives participants a chance to note what they love about the festival on a CD that is then woven into a bamboo tunnel. 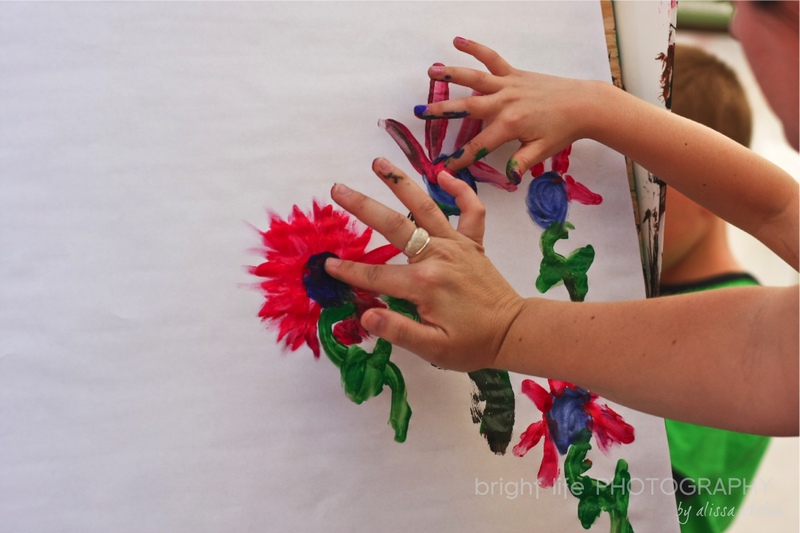 Melissa Glaze of the Asheville Mural Project does live painting, Our VOICE organizes a hand-print project and a hope box for survivors of sexual violence. Check out a preview of the upcoming Freaks of Asheville Calendar and hang out in the sideshow world created by Royal Peasantry. This year, 82 arts and crafts vendors will sell their wares along Lexington Ave. Since the festival’s inception this number has grown along with the square footage of LAAFF itself, which now extends all the way to BoBo Gallery. The number of arts vendors this year exceeds the number represented in this year’s Arts Park at Bele Chere. 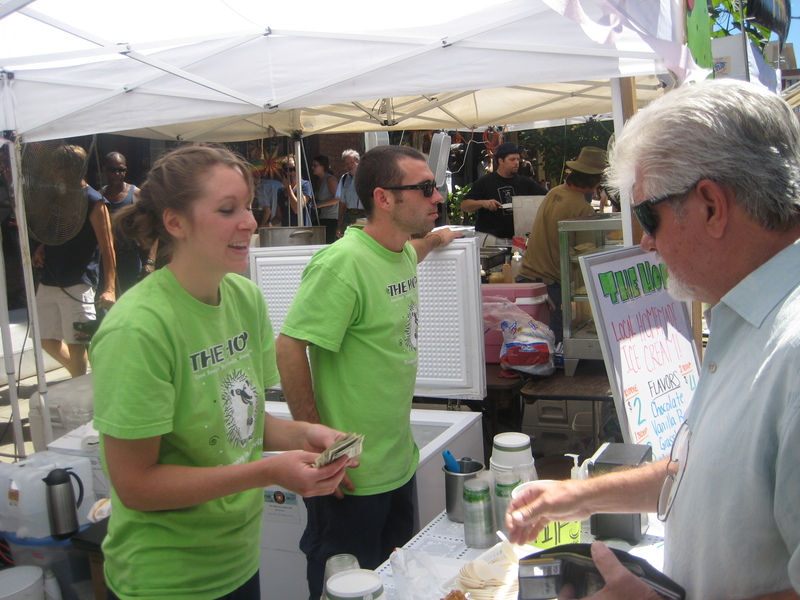 What’s a street festival without food? A grouchy group of drunken zombies, that’s what. Fortunately, for festival-goers, there are plenty of local restaurants available to help soothe the blood-sugar woes at LAAFF. 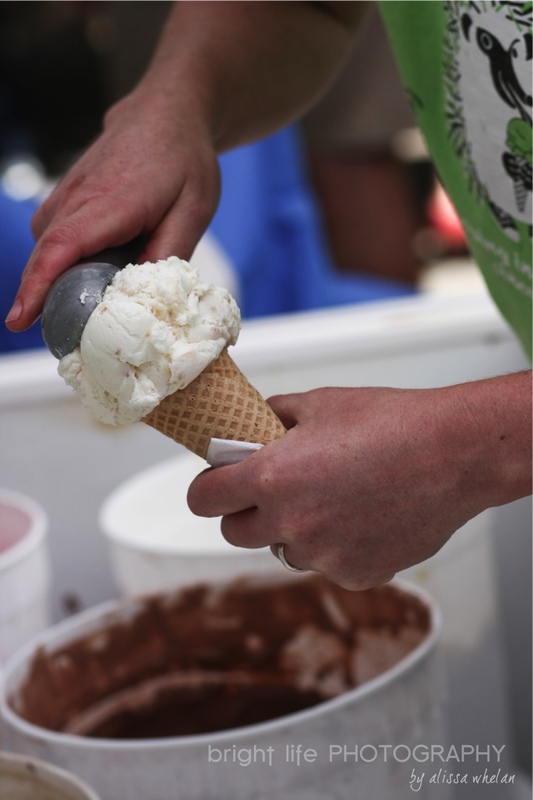 Just what can revelers expect to see and taste?Several Lexington Avenue merchants will be represented at the LAAFF food court, and it’s only fitting — local is what this block party is all about. Look for local buffalo short ribs from the Lexington Avenue Brewery, for example. Want something a bit more exotic? Visit Mela’s booth for a taste of Indian cuisine on the streets of Asheville. Plenty of local beer will be available at LAAFF, which should come as no surprise. Should you be teetotalling, however, there are options for you, too. Buchi will be pedaling their special brand of local kombucha, and two lemonade stands will be on hand to slake your thirst sans alcohol. Enjoy the party — and don’t forget to bring your appetite. 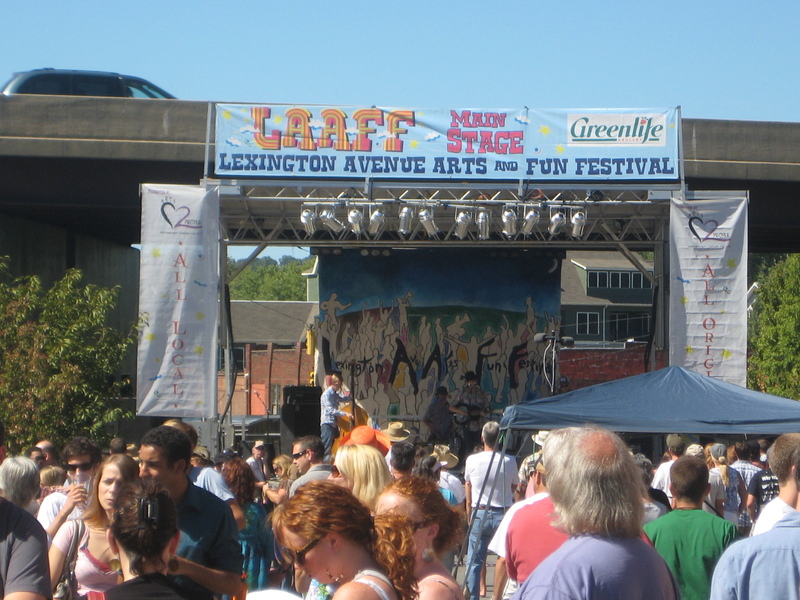 It’s time again for that funkiest and most family-friendly of Asheville street fests: the Lexington Avenue Arts & Fun Festival, coming to that once raffish downtown area often referred to as Lex this Sunday, Sept. 5.There again will be a multi-tented kids’ area based in the parking lot between Downtown Books & News and Heiwa Japanese Restaurant. For the first time this year, Kids Universe, as it’s been dubbed, is being organized and run by the Asheville-based Earth Fare supermarkets. 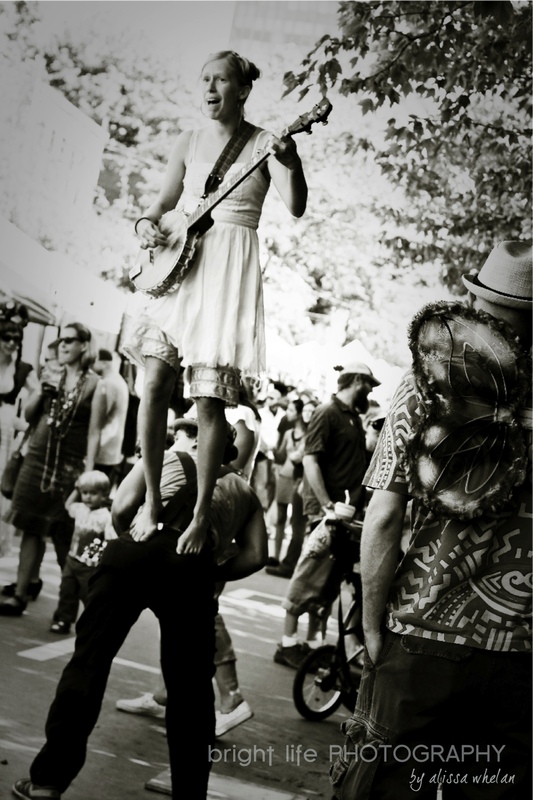 There are so many great shots from this year’s Lexington Ave Arts and Fun Festival. I have posted some shots below- all which link back to their original albums. Check em out, and please post a comment with links to YOUR shots is they are not already in here. Cheers~! 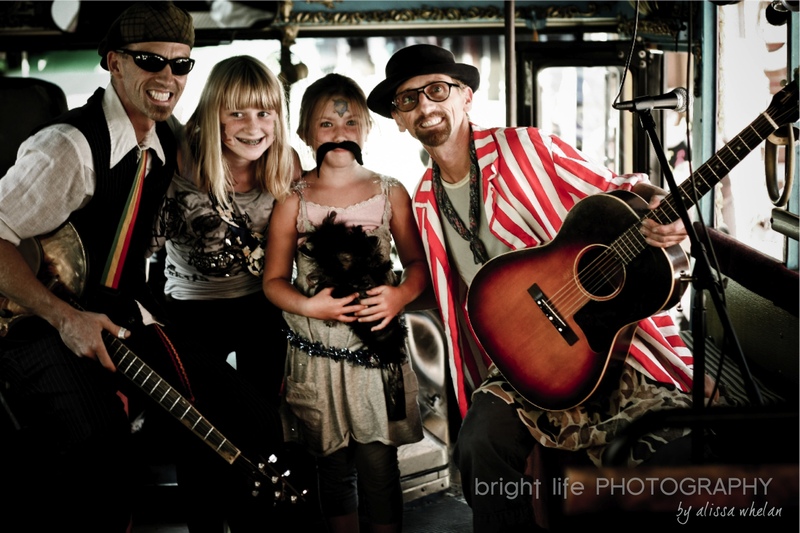 Bright Life Photography~ Alisa Whelan~ got some amazing shots from the day. Check out the album by clicking on the photo below. Here are some great shots by Edgy Mama. Click the pic for more form her. Wretler at LAAFF 2010. Photo by Edgy Mama. 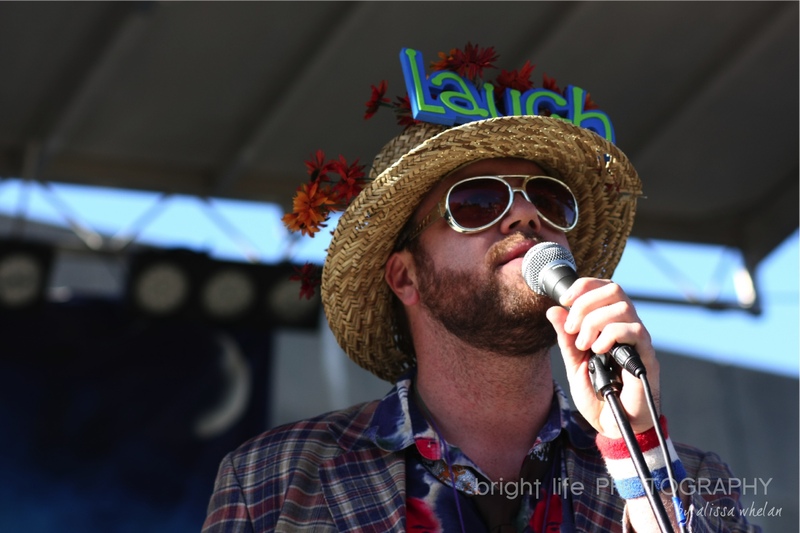 Andolent posted a great photo journal of LAAFF Here as well. Click the photo for the whole album. Bouchon restaurant got some fun shots as well. Check em out by clicking the pic below. Check out some of the Great videos that people have posted of LAAFF 2010! Stay tuned to this You Tube Channel for more as they get posted as well as many videos of LAAFFs past. 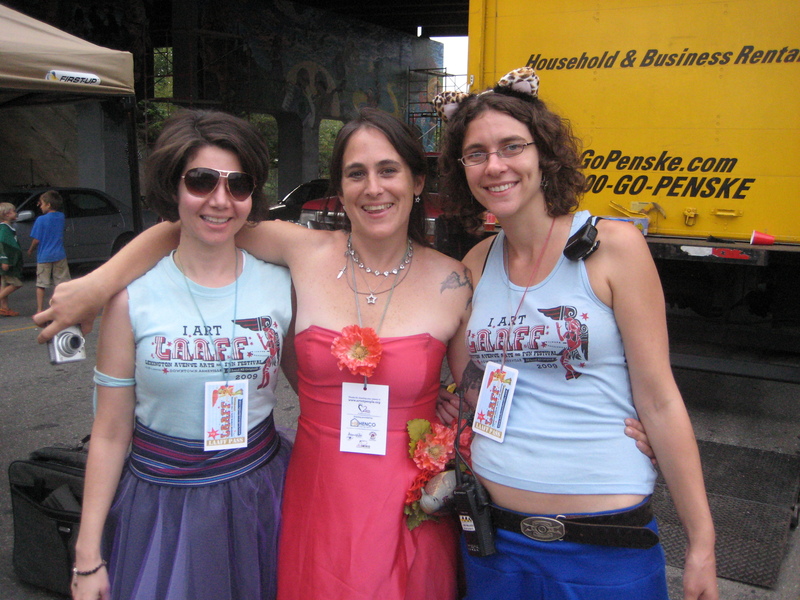 This is a great article about LAAFF co-Founder and Arts 2 People’s executive director, Kitty Love. I have worked with Kitty for 8+ years now on Arts 2 People and LAAFF as well as other projects and so appreciate the telling of the inception of LAAFF and news on the creation of an artist resource center in Asheville. Great article Jason! There are some long excerpts below, please follow the link to read the full article. 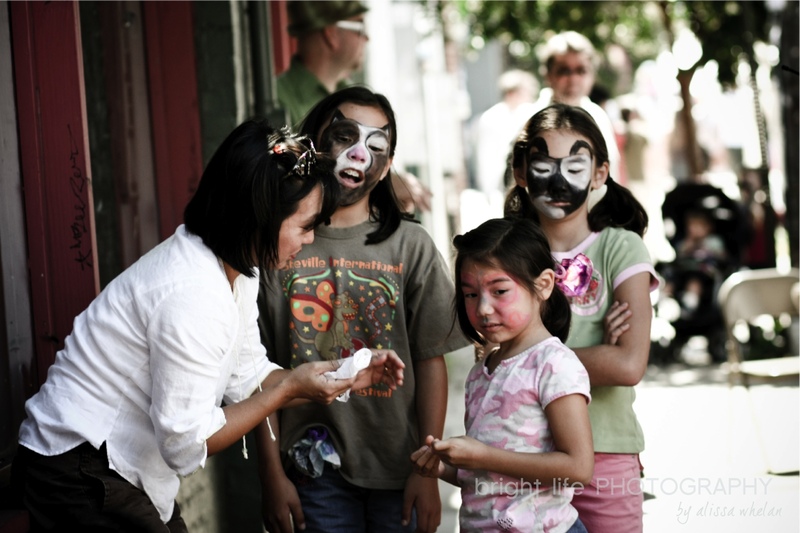 by Jason Sandford • September 5, 2010 in the Asheville Citizen Times. Kitty Love enjoys a good freak. It’s a descriptor she’s adopted for a unique fundraising project and a noun a neutral observer might use for some of the clients who come into the Liquid Dragon tattoo shop she works out of on Lexington Avenue. 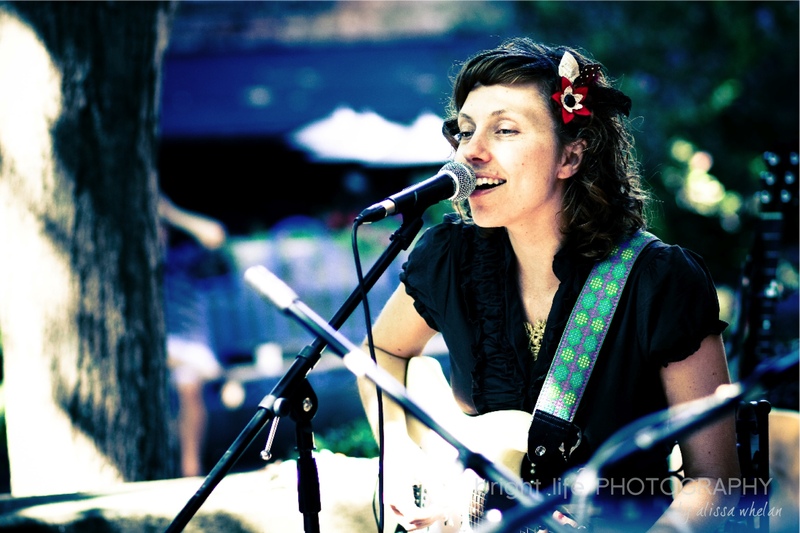 And it’s those emerging artists and creative types who help make Asheville the tourism destination it is, she added. That’s why she’s spent the better part of the past decade supporting and promoting artists as executive director of the nonprofit Arts 2 People, as a staunch advocate for the creation of an artists resource center and as the promoter of sideline projects such as the “Freaks of Asheville” calendar and the Lexington Avenue Arts and Fun Festival . Love and her partner at the time, Michael Mooney, opened Sky People Gallery and Studio on the street. The gallery opened about a month before the terrorist attacks of Sept. 11, 2001. The economy sputtered, so Love says she and Mooney dreamed up the Lexington Avenue Arts and Fun Festival the following year to give the area a boost. “We really wanted to see that Lexington Avenue culture grow without getting gentrified,” Love says. 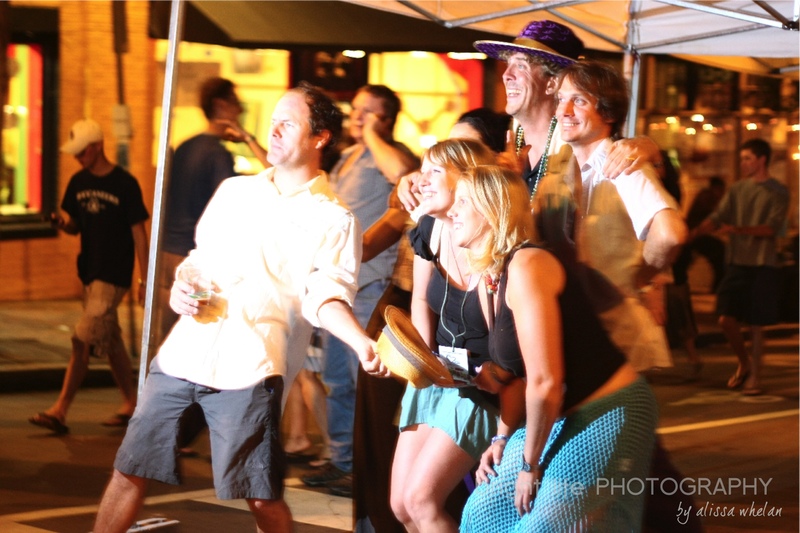 More an anything-goes block party than an official festival, the event took root with street games like Bowling for Karma — knock over the right Hindu god and erase that awful sin — and Baby-head Putt Putt. Now in its ninth year, LAAFF is a full-blown, daylong event known for embracing Asheville’s freaky side. “LAAFF is meant to show that individual self-expression is actually a more attractive product” than other festivals with a more corporate flavor, Love said. The Lexington Avenue festival is perhaps the most visible manifestation of Love’s passion, but she’s been working to support young artists through the nonprofit Arts 2 People she leads, and through the ongoing effort to create an artists resource center. Arts 2 People, which survives on a shoestring budget, includes outreach and education projects. Love readily admits she doesn’t have the best skills when it comes to raising money and jokes that she needs a “development angel” to swoop in and help. Love’s dream of creating an artists resource center may strike at her heart the deepest. She said her mantra is “the wisdom is in the circle,” a guidepost for creating an umbrella organization that can offer young artist-entrepreneurs a wide range of support they need. It will be “a professional development resource center” that can offer tips on where to find rental space, equipment or specific training, she said. “When you’re someone who makes pots, that’s what you want to do. But you need to take pictures of your pots to market them, and you need to make business cards with pots on them to network,” Love said. A resource center could also help identify the exact number of artists in Asheville — she guesses the number at between 6,000 and 8,000 — and the true economic impact they have. Such a study would go a long way toward cementing the importance of artists to the local economy in the minds of decision-makers, she said. For Love, it’s all about putting a face on Asheville’s artist-entrepreneurs — Asheville’s freaks, as it were. 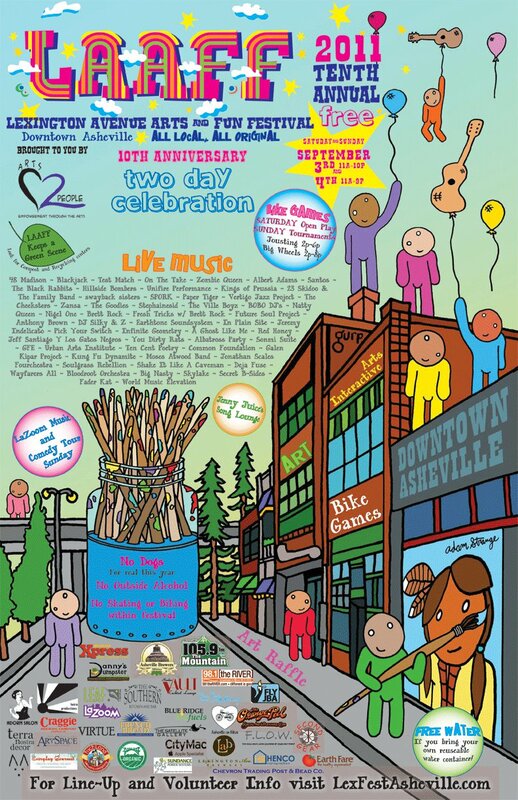 On Sunday, September 5, 2010 the Lexington Avenue Arts and Fun Festival http://LexFestAsheville.com is going to happen in downtown AVL. 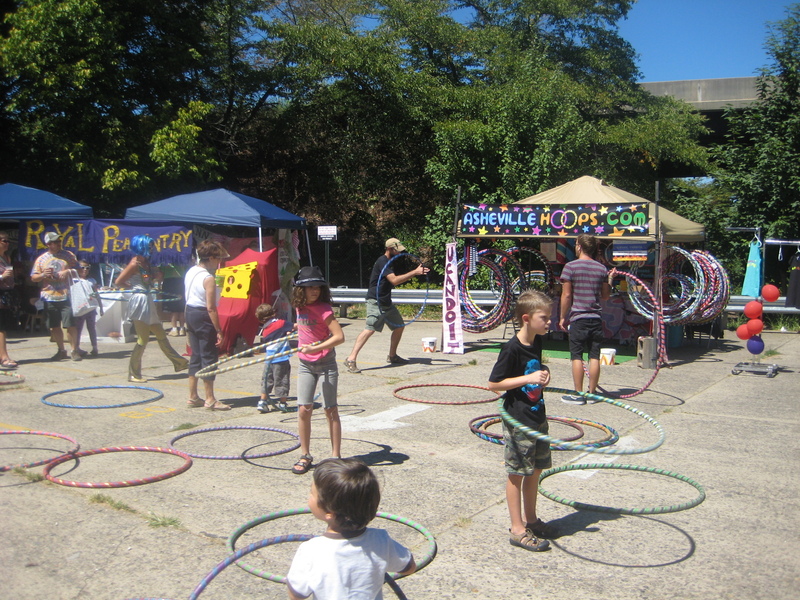 This is an Asheville Home Grown Festival that is one of the community highlights of the year. Videos by G Social Media-Gary http://GSocialMedia.com and Erin http://Dreamspider.net. 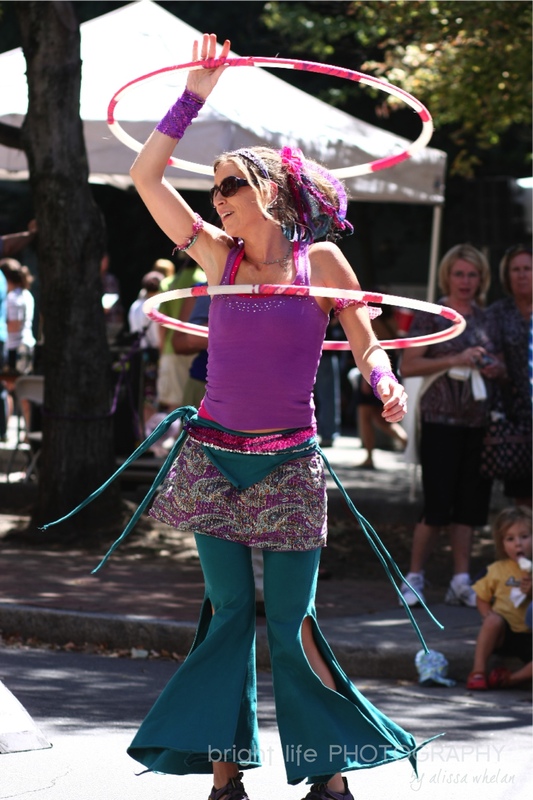 Lexington Avenue is going to be filled with Awesomeness this Sunday as the Arts and Fun Festival http://LexFestAsheville.com takes over downtown Asheville.